The Global Goals aim to end poverty by 2030. People living in poverty often lack resources, training, and the opportunity to easily break the cycle of poverty they are living in. Thus to reach these goals, a lot of hard work, prayer, and collaboration are necessary to give families and individuals a hand up out of poverty. Pray for people who live in poverty. Poverty affects families in different ways. For some, it means trying to fall asleep with growling stomachs because there isn’t enough food. 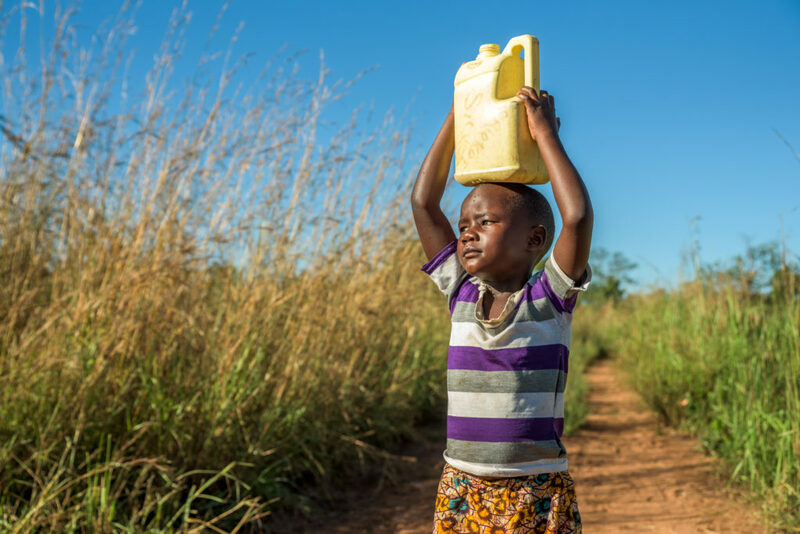 For others, it could mean missing school because they must walk for miles to get clean water each day. In a lot of cases, the lack of access to clean water, nutritious food, reliable health services, and quality education are all connected — caused by poverty and further drivers of poverty. Pray for people who deal with these challenges every day; ask God to protect them, comfort them, and to provide them a way to break out of this cycle. Father, thank you for caring for each of your children regardless of circumstance, location, and resources. Today, we ask a special blessing over all people who live in poverty, especially children. Please protect them, and present them with opportunities to lift themselves out of poverty so they can live life to the fullest. When sustainable solutions are used to tackle root causes of poverty and when projects are implemented in a way that partners with communities, change can last. Pray that as new solutions to poverty are innovated, communities own the projects resulting in sustainable progress. God, let solutions be implemented in the best way possible and let the learnings from these solutions be passed down to future generations and adapted to address new challenges over time. Pray for coordination among communities, governments, and organizations. Coordination and collaboration among all parties are necessary to successfully end poverty. By working together, we can learn from the diverse experiences each group brings to the table. Pray that communities, governments, and organizations work together well and that more people are inspired to join in this work. We celebrate that people from many backgrounds are working to end poverty, Lord. Help us to challenge one another so we find solutions to reach the most people possible and provide lasting change. And, please, let our collaboration inspire more people to join the fight against poverty. Pray for the end of poverty in all its forms. We want children everywhere to have life in all its fullness, and God calls us to be his hands and feet. Ask God to direct us as we work to bring the kingdom of heaven on earth — ending poverty around the globe. Ending poverty is a big goal, but we know that with you it is possible. Guide our actions as we work together to make your kingdom come here on earth. And, when this goal is accomplished, let it be seen as a testament to you and your great love for us. God’s blessings be with the children of the world suffering from hunger. He will help us end the poverty problem. Please stand in prayer agreement with our collective impact initiative, Rochester-Monroe Anti-Poverty Initiative (RMAPI) to reduce poverty by 50% in 15 years and increase self-sufficiency in Rochester NY and Monroe County.